Reef Design Lab of Australia works closely with researchers to develop marine habitat infrastructure for a range of applications. The company's particular focus is how it can use innovative design and manufacturing methods to create more effective habitat solutions. Their extensive knowledge of how 3D printing can be used to minimise cost while increasing geometric complexity. 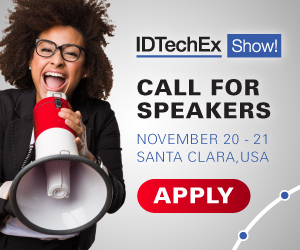 For more information see the IDTechEx reports on 3D Printing 2018-2028 and 3D Printing Materials 2018-2028. Reef Design Lab's main goal has always been to support marine research and they have been developing partnerships with researchers, research institutions and communities around the world to answer questions about man made marine habitat and how we can build to benefit the marine environment in the future. Their Modular Artificial Reef Structure (MARS) was recently installed at Summer Island in the Maldives. Its ceramic surface is designed to house transplanted corals. Transplanted corals can be continually divided as they grow and eventually transplanted back to natural reefs. A study will now be conducted on how corals colonise the new reef, and whether the technology can help coral reefs survive a warming climate. The company also focusses on eco-engineering of seawalls, wave break structures for mangroves/erosion control and modular structures for coral farming/restoration. Reef Design Lab has previously worked with the WWF Netherlands to design a range of reef units that were placed on the seabed of the North Sea as part of their larger oyster reef restoration project. The units were 3D printed in Rotterdam using D-Shape technology. 50 units were manufactured in sizes ranging from 50cm high to 120cm high and will be monitored over the coming years. This will be one of the largest research based projects assessing the effectiveness of the material and technology. This technology with its unique low carbon footprint sandstone material opens up endless possibilities for marine habitat construction and building of beautiful reefs. The key advantages of this 3D printing technology are that a very 'organic' appearance can be achieved, with far greater complexity, caves and tunnels compared to traditional moulding techniques - this can translate to greater biodiversity and biomass. MARS is xcellent for rebuilding destroyed reefs or creating new ones. Such designs show far greater respect for our marine environment than cubes, pyramids etc. Every unit made can have different features than the others without the need for different moulds, therefore increasing the diversity of habitat and richness of species on the reef. The material does not produce the greenhouse gas emissions that concrete does in its manufacture and transport. Reef Design Lab believe this technology can play an important role in climate change adaption of low lying islands by cost effectively rebuilding their barrier reefs and thus reducing coastal erosion. Their goal is to partner with appropriate companies and funders to provide a mobile 3D printing barge that can travel from island to island, use local sand, and produce reef units that are deployed to rebuild the islands natural defence against sea level rise. Added bonus would be increased fishery production and snorkeling or diving.